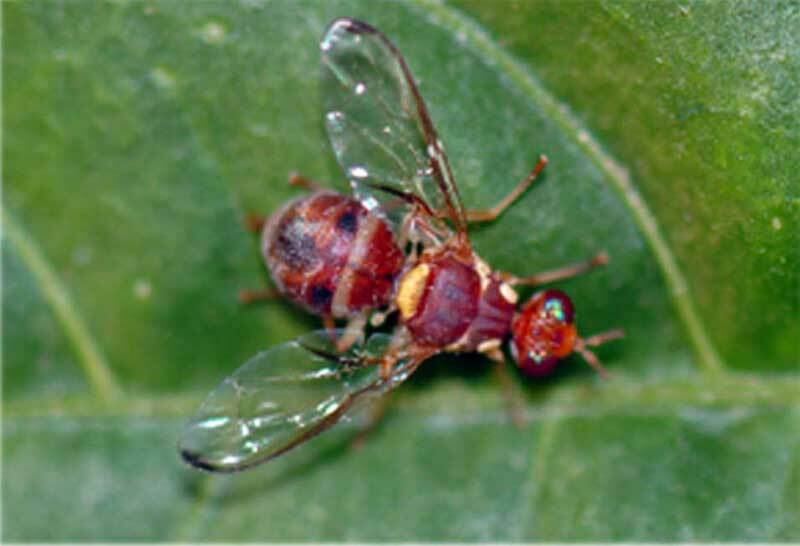 Insect follows Tephritidae family, and Diptera order. Larvas grow in fruits of vast group of pumpkin and wild crops such as cucumber, watermelon and marrow. Fly lays eggs under fruits' crust, breeds after 1-2 days. Larva feed inside fruit for 5-6 days, then returned to soil or under host plant. Adults appeart after 2-4 weeks. Insect exists all year especially in summer. Head is black, whereas body is orange.